SimSim Humara ("Ours"), the new Pakistani edition of the original American TV classic Sesame Street, is expected to be launched this year for Pakistan's pre-school children, according to the Guardian newspaper. Launched in 1969 as a program designed to enhance school readiness in low-income and minority children, Sesame Street was the first television series to attempt to teach an educational curriculum to children as young as two years of age. Sesame Street is not entirely new to Pakistani audiences - the original American version ran on local TV during the 1990s. 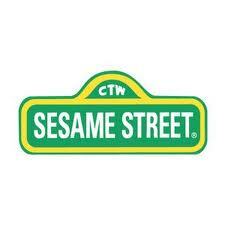 Sesame Street International already co-produces 18 localized versions in Australia, Bangladesh, Brazil, Egypt, France, Germany, India, Indonesia, Israel, Japan, Jordan, Kosovo, Mexico, Netherlands, Northern Ireland, Palestine, Russia, South Africa , and reaches millions of children in 120 nations around the world. The Indian adaptation called "Galli Galli Sim Sim" and Bangladeshi adaptation "Sisimpur" were both launched in late 2006 with USAID funding. Pakistan's SimSim Humara represents the 19th local adaptation of the 42 year old original American Classic. Sim Sim Hamara will be set around a dhaba, Urdu name for a roadside tea shop, and it will show residents hanging out on their verandas. It will feature Rani, a cute six-year-old Muppet, the child of a peasant farmer, with pigtails, flowers in her hair and a smart blue-and-white school uniform. Other characters include an energetic woman, Baaji, who enjoys family time and tradition, and Baily, a hard-working donkey who longs to be a pop star. They'll speak entirely in local languages - Urdu and four regional languages of Balochi, Punjabi, Pashto, and Sindhi . The only monster from the original American version being retained is Elmo, the cheerful toddler, but he will be recast with new local personality touches. Each show will pick one word and one number to highlight. Faizaan Peerzada, the head of a Pakistani theater group that is collaborating with Sesame Street's American creators, told McClatchy Newspapers: "The idea is to prepare and inspire a child to go on the path of learning. And inspire the parents of the child to think that the child must be educated". Peerzada added that "this is a very serious business, the education of the children of Pakistan at a critical time." Funded by a $20 million grant by US AID (United States Agency For International Development), the show will be carried by the state-owned PTV channel which reaches every nook and corner of Pakistan. It will reach 3 million pre-school kids via television screens in their homes. In addition to 78 TV episodes in Urdu and 56 in regional languages, there will also be a radio show and several mobile TV vans to show the program in remote areas and a traveling Muppet road show to front public service messages, on issues such as health, to reach 95 million people. It's an opportune moment for TV shows like SimSim Humara to ride the wave of the current media revolution sweeping the nation. It began ten years ago when Pakistan had just one television channel, according to the UK's Prospect Magazine. Today it has over 100. Together they have begun to open up a country long shrouded by political, moral and religious censorship—taking on the government, breaking social taboos and, most recently, pushing a new national consensus against the Taliban. 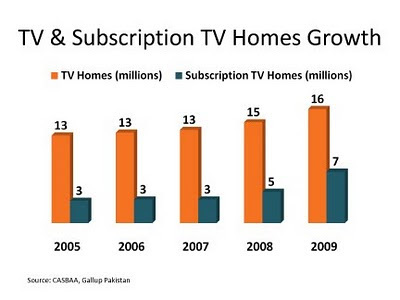 The birth of privately owned commercial media has been enabled by the Musharraf-era deregulation, and funded by the tremendous growth in revenue from advertising targeted at the burgeoning urban middle class consumers. Analysts at Standard Charter Bank estimated in 2007 that Pakistan had 30 million people with incomes exceeding $10,000 a year. With television presence in over 16 million households accounting for 68% of the population in 2009, the electronic media have also helped inform and empower many rural Pakistanis, including women. Larry Dolan, the director of the education office at USAID for Pakistan, told McClatchy that the expenditure on SimSim Humara is a valuable addition to the "series of different pots" of educational assistance the U.S. provides. "Teaching kids early on makes them much more successful when they get to school. And this program will have the capacity to encourage tolerance, which is so key to what we're trying to do here," he said. Thirty years of research by Georgetown University Early Learning Project has shown that Sesame Street has made a huge positive impact on increasingly diverse American society. 1. School-Readiness : In studies completed after Sesame Street's first two televised years, viewers experienced positive outcomes in the areas of alphabet and number knowledge, body part naming, form recognition, relational term understanding, and sorting and classification abilities. 2. Long-term Benefits : In a longitudinal study examining the long-term impact of preschool-aged viewing of Sesame Street, it was found that exposure to the program in the preschool years was significantly associated with secondary school achievement. 4. Sesame Street has proven to enhance academic skills and social behavior. Children's television based upon collaborative efforts to develop appropriate curricula for young viewers is now more prevalent than ever. In addition to teaching basic reading and math skills, Pakistan desperately needs to instill in its people greater tolerance and acceptance of diversity to ensure a more pluralistic and peaceful society for genuine democracy to take root. It is my earnest hope that SimSim Humara and other shows like it will be carefully scripted and presented to lay the foundation to move Pakistan closer to Quaid-e-Azam Mohammad Ali Jinnah's vision of a peaceful, pluralistic and democratic Pakistan. I think whole emphasis on Sesame Street is ridiculous...will be negated by Madressas and hasn't helped educate US poor any better either! Meanwhile UK has unveiled big aid package for Pakistan aid as well. I think okay, as long Pakistan doesn't rely on UK expertise-which is dismal. They cannot improve ed of own poor (including immigrants from Pakistan);and they want to improve ed of Pakistan poor! Talk about deluded hubris!!! 1. I think the idea of pre-school education that reaches millions of kids is a very good one. And if it helps promote tolerance at a tender age, then that's even better. But it's not a substitute for good primary education. This confirms what is generally thought to be the case. Rani, the new program's star, sports pigtails and a blue and white school uniform. Her innate curiosity is exemplified by the magnifying glass she often carries and her endless stream of questions. She is captain of the school cricket team and plays the harmonium, an instrument used to perform Qawwali music. The creators chose Rani as the lead character to emphasize the importance of sending girls to school, something that doesn't often happen in Pakistan's conservative, male-dominated society, said Faizaan Peerzada, the chief operating officer of Rafi Peer and one of several family members who run the organization. "It makes the girl stand equally with the boy, which is very clear," said Peerzada. The action centers around a mock-up of a Pakistani town, complete with houses, a school and Baaji's dhaba, a small shop and restaurant found in many places in the country. The town also includes a large Banyan tree, known as the wisdom tree in South Asia, in the shade of which the children often play. A total of 78 episodes will be aired in Pakistan's national language, Urdu, over the next three years, as well as 13 in each of the four main regional languages, Baluchi, Pashtu, Punjabi and Sindhi. The shows will appear on Pakistan state television, and the producers hope they will reach 3 million children, 1 million of whom are out of school. Big Bird and Oscar the Grouch are nowhere in sight. But there's Elmo. And new creatures too, like Baily, a kindly donkey who loves to sing, and Haseen O Jameel, a vain crocodile who lives at the bottom of a well. The TV show has a new cast of local characters led by a vivacious six-year-old girl named Rani who loves cricket and traditional Pakistani music. KRACHI: Renowned actor, singer, compare, musician and producer Khalid Anam, known for his dedicated work for children’s welfare, Friday launched EMI Pakistan’s children division. Two CDs containing rhymes and lessons for children, entitled ‘Ray se rail chali’ and ‘Zarb-al-Misl’, have been introduced at the EMI children division’s ceremony, held at a local hotel. Anam composed the material on the CDs that included rhymes, poems, cartoons and video lessons that teach children not only language skills but also moral values. Addressing the launching ceremony, Anam said that national language should be promoted in the society. He regretted that their children learnt English rhymes, poems and culture, but they have been going far from their own language and culture. It is the matter of shame for us that our children do not know Urdu, he said. He was of the view that their society had fallen prey to a complex and sense of inferiority towards English language. He said that it was common in the society that their children, even having age group between three to eight, were seen dancing on the songs like ‘Muni Badnam Hoi’ while parents clapped on it instead of refraining and guiding them. Khalid said, “Children are our future, so it is our duty to take care of them and tell them that what they should see and what not. We should keep checks on media, particularly dramas”. He further said that entertainment was the major tool for educating children that was why he chose that medium to connect next generations with their own culture and language. He said that besides this, what compelled him to launch his initiative was that there was lack of positive entertainment for the children. EMI Executive Director Ameed Riaz started his speech through an attention notice that at the launching ceremony of a product about Urdu, participants were expressing their views in another language. He hailed Anam for his efforts and dedication to children and society. He further said that EMI was moving towards digital media from physical medium. Addressing the ceremony, various prominent figures shed light on the role of Anam for his cause and dedication to his work. Later, talking to Daily Times, senior actor Behroz Sabzwari said that indeed it was a matter of regret that their children knew ‘Baba black sheep’ but were not aware of ‘Lab pe aati hai dua ban kay tamanna meri’. He said that before the invasion of private sector, Pakistan Television PTV was contributing for children, but after the waves of private TV channels, children had been neglected. He said that since day one, Anam was continuing his efforts in this regard. Tehmina Khalid told Daily Times that all the prominent school groups in the metropolis, including beacon house, were teaching Urdu to their students through the programmes, designed by Khalid. She further said that Anam was working for children for a long time. On the occasion, EMI’s official website was also launched by EMI General Manager Zeshan Chaudhri. He also presented a multimedia presentation on the website and the programmes of children division available on it. The makers of the US TV show Sesame Street launched a new puppet show in Pakistan on Saturday. The programme was jointly developed by Sesame Workshop, the creator of the American children's series, and Rafi Peer Theater Workshop, a Pakistani group that has been staging puppet shows for more than three decades. 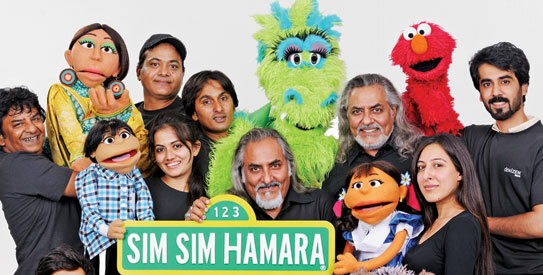 The show, called Sim Sim Hamara, received $20 million from the United States Agency for International Development (USAID). "I think, we have had a really good take off on making a Sesame Sim Sim Hamara which belongs to Pakistan," Faizaan Peerzada, the chief operating officer of Rafi Peer and one of several family members who run the organization, told the audience at launching ceremony in Pakistan's cultural capital Lahore. "It has Pakistani characters, it has content which is specially designed for Pakistan and there is a lot of development on the side of making an international level production." The shows will appear on Pakistan state television in late December and the producers hope they will reach three million children, one million of whom are out of school. A total of 78 episodes will be aired in Pakistan's national language, Urdu, over the next three years, as well as 13 in each of the four main regional languages, Baluchi, Pashtu, Punjabi and Sindhi. The TV show has a new cast of local characters. The lead character is a six-year-old girl named Rani who loves cricket and traditional Pakistani music. Another character, Munna, is a five-year-old boy obsessed with numbers. Baily the donkey, Haseen O Jameel the crocodile and Baaji, a strong woman, are a few of the other characters. The programme is expected to help the educational difficulties of children without access to schooling and reflect messages of inclusion and mutual respect. "A programme like this can bring forth the children of Pakistan to understand all the ideas with inclusion of kindness to one another, mutual respect and equal opportunity. And I think, that's one of the things that we are very very pleased to be a part of to be able to sponsor that," said U.S. Consul General, Nina Maria Fite. In addition to the television show, the USAID-funded project will include radio programmes for parents and other care-givers, live puppet shows, mobile video shows, a website with e-books, games, and children's songs. Educational curriculum will focus on language development, critical thinking, and cognitive processes. According to figures from UNESCO and other non-governmental organisations, roughly one in 10 of the world's primary-age children who are not in school live in Pakistan, placing Pakistan second in the global ranking of out-of-school children, behind Nigeria. The World Bank approved a $400-million loan earlier this year for Pakistan's flailing education system, one of the world's worst where the country spends less than 1.5 percent of its gross domestic product (GDP) on schooling. For a 3-year-old who has yet to master the use of the personal pronoun, Elmo is a whiz at foreign languages. Already fluent in Chinese, German, Hindi, Spanish and Arabic, among others, the fluffy red icon has just picked up Urdu, the most common language in Pakistan. At a time when the U.S.-Pakistani relationship is at its worst in more than a decade, Sesame Street — the quintessential American children’s television program — has burst onto the Pakistani scene in a flurry of fake fur, feathers and infectious ditties about the letter alef, or A. On a tour of the workshop where the show’s Muppets are made, Peerzada, a master puppeteer with more than 40 years of experience directing educational puppet shows for Pakistani children for the Rafi Peer Theatre Workshop, slips his hand into a limp, feathered pocket of gray felt. Even without eyes, the unfinished puppet springs to life with the mannerisms of an owl, swiveling its head to listen as Peerzada expounds on Sim Sim Hamara’s potential with evangelical zeal. Underfunded and neglected for more than 30 years, Pakistan’s education system is in a parlous state. The recently released Annual Status of Education report in Pakistan reveals that nearly 60% of school-age children can’t read, or even do basic, two-digit subtraction problems. For a country where 35% of the population is under the age of 14, the consequences are enormous. “As a nation, Pakistan has failed its children,” says Peerzada. If Sesame Street brought the joy of learning to generations of American preschoolers, why can’t it help teach Pakistan’s 66 million children under the age of 14 how to read? he asks. “Our children deserve this. All children deserve this,” he says. Obviously a television program that airs twice a week can’t compensate for missing teachers and limited school access, but it’s a start. “To me, Sim Sim Hamara is a gift to Pakistani children, and a window into homes that might think their children are better employed in the fields than at school,” says Peerzada. The same could not be said of reactions to the program in the U.S., where Fox News in October dubbed Sim Sim Hamara a boondoggle for Elmo and conservative commentators quickly took up the cause. But as Sesame Workshop’s Westin points out, $20 million pays for a lot more than Elmo’s Urdu lessons and a plane ticket to Pakistan. It covers a state-of-the-art studio, high-definition digital-video equipment that won’t be obsolete in a few years, and the foundations of an educational institution that, if all goes to plan, will provide Pakistani children with the basic-literacy building blocks that have been the mainstay of early-childhood education in America for more than four decades. Current estimates say that Sim Sim Hamara is reaching more than 3.5 million Pakistani children who have no other access to preschool education. “This is a smart investment,” says Westin. “Early-childhood education is one of the most effective ways to build stability in any country. An investment like this is not only going to benefit Pakistan, but our children as well. If we can help to create a more peaceful world, that is a benefit to all of our children.” And that sounds like something Elmo would love, in any language. Plan International Pakistan, a non-governmental organisation (NGO), on Thursday presented its Early Childhood Education (ECE) syllabus to the Punjab government. Developed after a year’s research, the syllabus focuses on six ‘learning areas’ and includes lessons about personal and social development, language, creative arts, health and hygiene, basic mathematical concepts and general knowledge regarding the world around the child. The syllabus called Barhtay Huay Qadam has been prepared by Nasira Habib, the founder and director of Khoj, an NGO that focuses on education. The curriculum has been developed for children between four and five years of age. Lessons include Aao kuch banain (Let’s make something), Khel ka waqt (play time), Ghar ghar khailain (Playing house) and Kahani ka waqt (Story time). During a presentation at the launch, Habib said that each ‘learning area’ had a list of expected outcomes, which could be measured with the help of a list of competencies. Habib told The Express Tribune that after the final draft was submitted in October 2011, pilot projects were run at seven community centres in Chakwal, Vehari and Islamabad. Habib described the teaching method prevalent in most schools across the province as “regimented”. “Deep down, our society is [still] under the impression that you can’t teach without being strict or [without] corporal punishment,” she said. “We have incorporated elements of our heritage – local stories and games – in the syllabus,” she said. Habib said that ideally 15 children should make up a ‘learning group’. If there are more than 20 students, she said, it would be best to divide them into two groups. The syllabus can be covered in 32 weeks of ‘active teaching’, with each week following a particular theme. The last week prepares the child for school, with teachers focusing on making the child ready for organised schooling, said Habib. She also noted the lack of designated ECE centres in the Punjab, “There are only 32 centres in 36 districts.” She said that implementation of early education would be difficult because “70 per cent of rural primary schools in the Punjab are single classroom schools.”..
Aslam Kamboh, the School Education Department secretary, said that since ECE was ‘material-based learning’ (needed educational toys and space), appropriate budgetary allocations were necessary. He promised to issue a notification, which would make ECE classrooms and playgroup area a valid charge under the ‘Farogh-i-Taleem’ budget ensuring that it becomes an integral part of schooling activity. Sofia Aziz, the learning adviser for Plan International said that such initiatives would help standardise pre-primary schooling. She also hoped that the NGO would launch the syllabus in Islamabad, Gilgit-Baltistan and Sindh later this year. Rashid Javed, country director of Plan International Pakistan, said that they were going to send out the syllabus developed to all government schools in the province. The U.S. has terminated funding for a $20 million US project to develop a Pakistani version of Sesame Street, the U.S. Embassy said Tuesday. The decision came as a Pakistani newspaper reported allegations of corruption by the local puppet theatre working on the initiative. The organization in question is the Rafi Peer Theater Workshop, a group in the city of Lahore that jointly developed the show with Sesame Workshop, the creator of the American series. The show, which includes Elmo and a host of new Pakistani characters, first aired in December and was supposed to run for at least three seasons. The U.S. hoped it would improve education in a country where one-third of primary school-age children are not in class. It was also meant to increase tolerance at a time when the influence of radical views is growing. U.S. Embassy spokesman Robert Raines said the U.S. Agency for International Development terminated funding for the program, but declined to provide further details. The Pakistan Today newspaper reported Tuesday that the cause was "severe" financial irregularities at Rafi Peer, citing unnamed sources close to the project. Officials at Rafi Peer allegedly used the U.S. money to pay off old debts and awarded lucrative contracts to relatives, the sources claimed. Faizaan Peerzada, the chief operating officer of Rafi Peer and one of several family members who run the organization, denied the corruption allegations. He said the U.S. ended its participation after providing $10 million US because of the lack of additional available funds. "Rafi Peer is proud of its association with the project and of the quality of children's educational television programming created within Pakistan as a result," the group said in a statement sent to The Associated Press. When I first heard that America was shopping a version of “Sesame Street” to Pakistan, I couldn't help but feel a touch of pride that someone finally got around to stealing my idea for Baywatch Imperialism. That said, governments tend not to blow $20 million to do nice things. They spend money to further the national interest or, to put it in slightly less political verbiage, to win. For those of you either too young to have experienced it, or too old to recall, “Baywatch” was the biggest (and some would say, greatest) television show of the 20th century. At its peak in the mid-1990s, the show had 1.1 billion viewers worldwide. This sort of imperialism is hardly new. Alexander the Great was wise enough to use the cultural benefits of ancient Greece to placate the masses in his conquered worlds, as has every conqueror since. America has long understood the benefits of showing off its goods, and it works. As someone who spent some time in Eastern Europe in the late-'80s, I can tell you that the world, especially the part of it living at the time under communism, coveted the heck out of what we had, just as much of the Middle East does today. Sadly, it seems as though we've forgotten all that. Instead of trying to win over our enemies by emphasizing our innate awesomeness, we feed their hatred with drone attacks. We send them bombs when we should be hooking them up with free cable. Earlier this week, the U.S. terminated funding for the Pakistani version of “Sesame Street.” Government officials said the decision came as a Pakistani newspaper reported allegations of corruption by the local puppet theater working on the initiative. Apparently, it's impossible to find a puppeteer who isn't on the take. I've long suspected as much. That means the kids in Pakistan won't be growing up with the sweetness of Elmo and Big Bird. I don't know what they'll be watching instead, but I suspect it isn't going to help our cause much. Not that all hope is lost. In a few years, they'll be old enough for “Baywatch.” We can only pray a Hasselhoff concert is not far behind. The project was originally to have received $16–$20 million until 2014. The U.S. Congress shaved this down to $10 million, of which 30 percent was allocated to the Sesame Workshop. With the $6.7 million that came to Rafi Peer—a fraction of the annual $300 million USAID says it spends on various projects in Pakistan—the company completed 26 half-hour episodes, scripts for Season 2, and 13 episodes dubbed in the Pashto language. For all practical purposes, Sim Sim Hamara’s fate appears to be sealed. Work on road shows, radio programs, and episodes in other regional languages have stopped. Half a dozen staff members have already been let go. And the show’s official YouTube channel, which prominently featured the USAID logo, has been “terminated” by the social-media website over an apparent copyright violation. “The wonderful work Rafi Peer has done for the children in this country is absolutely undeniable,” says Moneeza Hashmi, who worked on the project scripts for three months. “I don’t know if it became the victim of some political quagmire, you never know.” U.S. funding to Palestinian initiatives, including their Arabic version of Sesame Street, was stopped in January in response to the Palestinians’ bid at the U.N. for statehood.